The blond-haired, blue-eyed shooter who killed 77 people in a Oslo rampage had plastic surgery to look more Aryan, Norweigan intelligence officials told The Sunday Times. Anders Behring Breivik, a Norweigan right-wing extremist who decried multiculturalism in Europe in an online manifesto, had surgery to look the part of a “classic” Aryan, Janne Kristiansen, head of Norway’s intelligence agency, said to the Times. “You do not have that Aryan look naturally in Norway,” Kristiansen said. 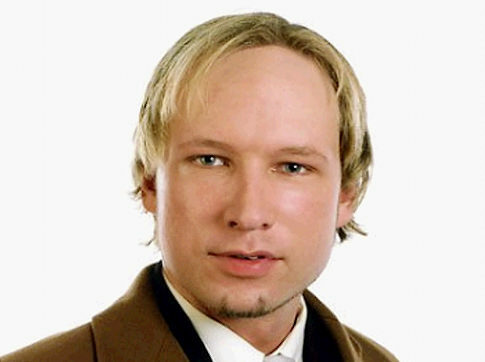 Breivik, 32, reportedly bragged about having plastic surgery 10 years ago to a school friend who spoke with Britain’s Daily Telegraph. “I remember we were at a party, and he told me he had had his nose and chin operated on by a plastic surgeon in America,” the unidentified friend told the paper. Breivik confessed to shooting 69 people at a summer camp for youth members of Norway’s ruling party July 22nd after killing eight people with a car bomb earlier that same day, cops said. Authorities continued to investigate Breivik’s ties to far-right groups around Europe and the source of his bomb-making materials. Killer Anders Breivik is unlikely to be declared legally insane in the aftermath of his massacre in Norway, according to a doctor who will decide his state of mind. The 32-year-old’s planning was so meticulous it would be difficult to argue it was the work of a deluded madman, said Dr Tarjei Rygnestad. The doctor, who heads the Norwegian Board of Forensic Medicine, said Breivik’s work to acquire the materials and skills needed for the July 22 attacks argued against psychosis, which is needed for an insanity defence. 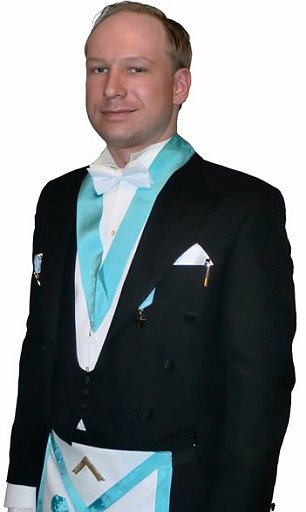 Breivik set off a car bomb that killed eight people in Oslo, then drove north to Utoya island and gunned down 69 people – mostly the youth wing of the Labour Party. He plotted the attacks for years and produced a 1,500-page manifesto. ‘It’s not very likely he was psychotic,’ said Dr Rygnestad, who added that psychosis sufferers are incapable of complex tasks. ‘If you have voices in your head telling you to do this and that, it will disturb everything, and driving a car is very complex,’ he said. Dr Rygnestad’s board will review a psychiatric report, due in November, before a judge will decide if Breivik can be held criminally liable. Breivik has admitted the facts of the case but denied guilt because he believes the massacre was necessary to purge Europe of Muslims and ‘cultural Marxists’, hinting at an insanity plea. 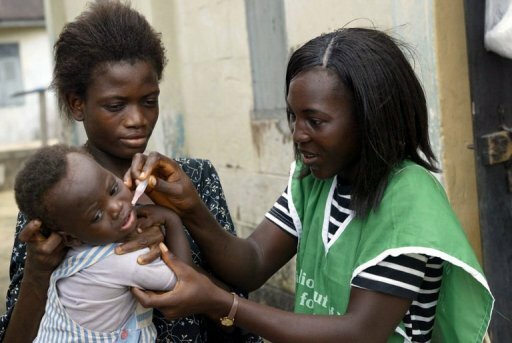 “The government will henceforth arrest and prosecute any parent that refuses to allow health workers to vaccinate his child against child-killer diseases, particularly polio,” the permanent secretary in the Kano state health ministry, Tajudeen Gambo, told AFP. “We have formed special surveillance teams and directed vaccinators to report any defaulting parent to such teams, and any vaccinator that fails to do that will also be prosecuted,” he said. In research published this week in the journal Remote Sensing, Spencer and UAHuntsville’s Dr. Danny Braswell compared what a half dozen climate models say the atmosphere should do to satellite data showing what the atmosphere actually did during the 18 months before and after warming events between 2000 and 2011. For this experiment, the UAHuntsville team used surface temperature data gathered by the Hadley Climate Research Unit in Great Britain. The radiant energy data was collected by the Clouds and Earth’s Radiant Energy System (CERES) instruments aboard NASA’s Terra satellite. The six climate models were chosen from those used by the U.N.’s Intergovernmental Panel on Climate Change. The UAHuntsville team used the three models programmed using the greatest sensitivity to radiative forcing and the three that programmed in the least sensitivity. Army officers could be fast-tracked into the police under proposals to improve management standards in the emergency service. The Government is ready to end the requirement for all recruits to undergo a two year probationary period before entering the service with every entrant being expected to serve some time as a constable. Soldiers, lawyers and even foreign police chiefs are being considered under proposals for a fast-track entry scheme drawn up by Tom Winsor, the former rail regulator, who was called in by the Government to advise on an the future structure of the force. “As the Prime Minister said in the House of Commons this week, we are interested in radical proposals for the future of leadership and training in the police service,” said a Home Office spokesman. Last week David Cameron suggested that senior officers from abroad could be brought in to “turn round” the police force. He called for “radical proposals” on how fresh leadership could be brought into the police force, raising the prospect of an outsiders being appointed as a chief constable. Mr Cameron told MPs: “At the moment, the police system is too closed. There is only one point of entry into the force. There are too few – and arguably too similar – candidates for the top jobs. I want to see radical proposals for how we can open up our police force and bring in fresh leadership. But it was clear that proposals to bring outsiders into senior managerial positions face resistance from existing officers. Simon Reed, the vice – chairman of the Police Federation, said it was important that recruits began as constables “in order to understand and appreciate the importance of policing by consent”. He also said it was imperative that senior officers had an “understanding and real experience” of working within Britain’s legal system. Peter Fahy, of the Association of Chief Police Officers, warned that allowing people from outside policing direct entry into senior positions would like “a medical student acting as a surgeon”. Residents believe the unmarked cameras are an invasion of their privacy. 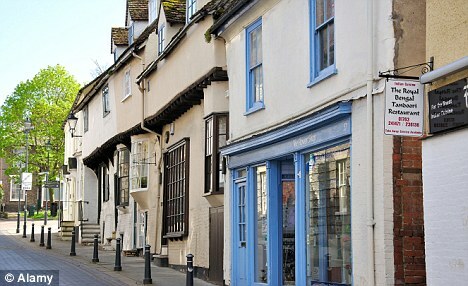 A sleepy Home Counties market town has become the first in Britain to have every car passing through it tracked by police cameras. Royston, in Hertfordshire, has had a set of police cameras installed on every road leading in and out of it, recording the numberplate of every vehicle that passes them. The automatic number-plate recognition system will check the plates against a variety of databases, studying them for links to crimes, and insurance and tax records, and alerting police accordingly. There were just seven incidents of vehicle crime in the town last month, and residents believe the unmarked cameras are an invasion of their privacy. Details of the cars movements will stay on police records for two years, or five if the car is connected to a crime, the Guardian reported. The system, which is operated regionally, has sparked fears that the data could be abused and has led to claims that it is a big brother network that the public are completely oblivious of. Guy Herbert, general secretary from NO2ID, which campaigns against databases storing the public’s details, said: ‘It’s very sinister and quite creepy. ‘They can approach anyone they like, but there’s no legal basis for them doing so. ‘There’s no way to regulate how they use ANPR, they are the authority on it and they have their own rules. Mr Herbert also takes issue with the fact that the cameras are not advertised to the motorist, so many are unaware they have even been caught on the camera. But Inspector Andy Piper, the ANPR manager for Hertfordshire and Bedfordshire, and a Royston resident himself, insists that the system will not be abused. The ANPR cameras, which are not usually advertised to the public, seem bizarre given Royston’s low level of crime. The town has a population of 15,000. Following the most recent meeting of the Royston Neighbourhood Panel, it was decided that the local top priority of speeding should be replaced by shoplifting. So some have questioned why Hertfordshire Police have taken such measures to track all of cars coming in and out of the town, which borders the Cambridgeshire and Essex counties. Former Royston mayor Rod Kennedy believes the system is targeting the wrong area and details of vehicles should be deleted, unless they have committed a crime or are not registered. But Inspector Piper told the Mail that many businesses were in favour of the system. ‘On first sight, the ANPR coverage of such a low crime town as Royston may seem an unusual choice, but ANPR works both as a deterrent and a detection tool. ‘The local district council and local business group funded the cameras to help protect their businesses and local residents from crime. The ANPR system uses a mixture of mobile cameras inside police cars and fixed installations in some locations. Police argue it helps trace missing people and identify witnesses to help with crimes but James Welch, Legal Director for Liberty, a human rights campaigning group said there needs to be tougher rules to stop it from being vulnerable to misuse. ‘ANPR technology captures an identifying marker – a car’s number plate – so has the capability to track and record an individual’s movements far more intrusively than CCTV,’ he said. ‘While there may be crime detection gains the potential for abuse is great. The Obama administration is supporting genetically engineered (GE) agriculture in more than 50 national wildlife refuges across the country and watchdog groups say internal emails among top administration officials reveal that the GE plots are a priority in the White House. A January 10, 2011 email obtained by PEER reveals that biotech lobbyist Adrianne Massey contacted Peter Schmeissner, the senior policy analyst for the White House Office of Science and Technology, about the legal challenge to GE crop plantings in northeastern refuges. Massey, who has made a career out of promoting biotechnology across the world, promotes the public policy of the Biotechnology Industry Organization (BIO), a lobby funded by Monsanto and other biotech firms. 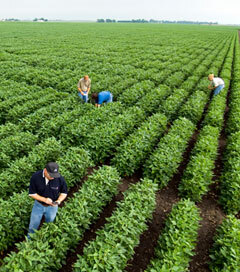 The Obama administration recently created the White House Agricultural Biotechnology Working Group and GE crop opponents claim the interagency group has teamed up with BIO to boost exports of GE crops to countries that have grown leery of America’s increasingly transgenic food supply. Massey also emailed Schmeissner about legally mandated environmental assessments of GE crops in wildlife refuges. PEER contends the emails are evidence of “collusion” between the Obama administration and the biotech lobby, but it remains unclear how much sway BIO actually holds within the administration. The Office of Science and Technology did not respond to an inquiry from Truthout. For years, the Fish and Wildlife Service has allowed farming on national wildlife refuges for the purpose of habitat restoration. The agency claims farming helps develop native grasslands and provides food for wildlife. Deborah Rocque, a top official for the wildlife refuge system, told Truthout that GE crops restore habitats in ways that conventional crops cannot. Crops that are genetically engineered to tolerate herbicide (such as Monsanto’s Roundup Ready corn and soy) provide beneficial ground cover and the herbicides can be sprayed across entire fields, killing only unwanted weeds, but sparring the GE crops. “The White House is engaging in a joint effort with Monsanto … and as we understand it, it’s part of a White House pledge to double exports,” said PEER Executive Director Jeff Ruch. The US has had trouble in recent years exporting GE crops to Europe, where many consumers are skeptical about GE foods and some countries mandate that foods containing GE ingredient must be labeled. Now that more than 90 percent of corn and soy grown in America is GE, the government has a vested interest in promoting the acceptance of GE crops in other countries. PEER claims that Fish and Wildlife policy did not allow for GE crops in wildlife refuges unless found essential for some purpose, and some European countries pointed to the policy as evidence that GE crops are not environmentally sound. So by using environmental assessments to justify GE crop plantings in picturesque wildlife refuges, the Obama administration and agribusiness firms can clean up the tarnished image of GE crops worldwide. Rocque, however, said that Fish and Wildlife never had a policy whether or not GE crops should be planted in refuges and it simply makes sense to use herbicide-resistant GE crops as a habitat restoration tool. Ruch said PEER filed its first legal challenge after being contacted by Fish and Wildlife biologists who opposed using refuge land to grow GE crops. PEER later obtained an internal email among Fish and Wildlife officials that the group believes is evidence that USDA Secretary Tom Vilsack has put pressure on the agency to get in line with the broader administration’s stance on GE agriculture. “This is the White House telling Fish and Wildlife to get out of the way,” Ruch said. Rocque, however, said she is unaware of any internal pressure from the White House to promote the planting of GE crops in wildlife refuges.